The first theme of our new Live Smart programme aimed to help students travel smarter – improving wellbeing, saving money and reducing the University’s scope 3 carbon emissions. The theme ran through October in tandem with our Annual Travel Survey and as part of our Sustainable Travel Plan. Created by second year Film Production Student, Joe Hunting – watch to find out if the bus, bike, car or walker wins the pace, pocket, planet race from Pittville to Park. 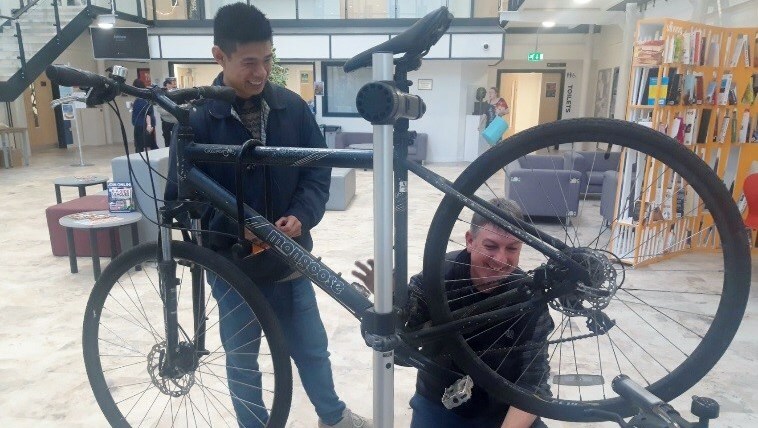 We partnered with local bike shop Cheltenham Cycles, and Bespoke Mobile Bicycle Workshop from Ross on Wye to offer free bike checks to staff and students at Pittville, FCH and Oxstalls. We asked students to come up with an idea or design that motivated or inspired other students to travel smarter. 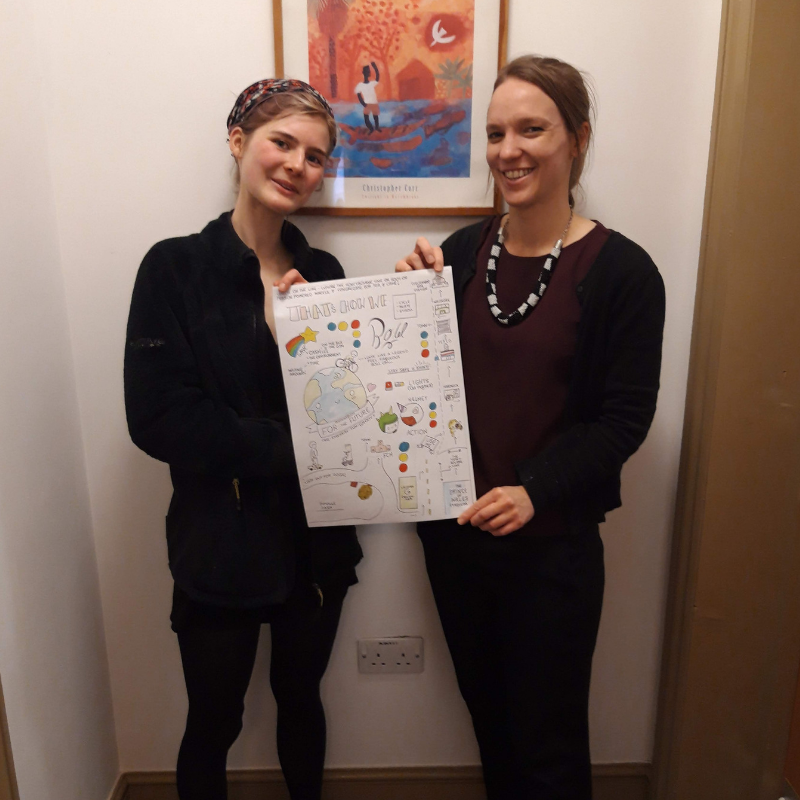 Our winner, Naomi Young (1st Year Landscape Architect) created a visual design which included local landmarks and fun tips to travel smarter. Jacob Pritchard (2nd Year Advertising) who came up with an idea for an app rewarding smart travel behaviours.